It’s often daunting to choose the right place to go on a family holiday. Mum and Dad need a place where they can just chill out and relax by the pool while, the children need somewhere with fun activities and attractions to keep them entertained. Of all the summer holiday destinations in Europe, there is no country better organised than Spain for family fun in the sun. With “Blue Flagged” beaches galore and enough theme parks to keep kids busy for your entire holiday, Spain ticks all the right boxes when it comes to enjoying time together as a family. One enticing resort on the Costa del Sol is a small seaside town called Nerja. Overlooking the Balcon de Europa, this Mediterranean region thrives on its family-friendly atmosphere. 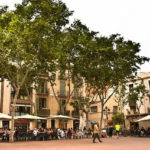 Dining al fresco late into the evening is a popular pastime and a delightful experience in the public square. In Nerja’s appealing little town, you won’t find any all-inclusive mega resorts, but there’s a good selection of family hotels, attracting a different clientele, consequently offering a different spirit to an area where it is safe to walk around both day and night. From Malaga airport, its only 60 minutes by taxi transfer to Nerja on the quiet A15 Autovia or motorway, so children won’t have time to get restless before the holiday begins. Nerja also has plenty of activities that the whole family can enjoy together such as sea kayaking along the rocky cliffs towards the Doncella waterfall while stopping to explore hidden caves. The area around Maro beach where the waterfall is located, is a marine reserve where fishing is restricted, making it one of the best places in Spain to go snorkeling. An option for a day of adventuring in Nerja is along the Rio Chillar, a shallow river where you can walk between steep gorges while stopping to swim in natural crystal clear pools. Nerja also has plenty of activities that the whole family can enjoy together such as sea kayaking along the rocky cliffs towards the Doncella waterfall while stopping to explore hidden caves. The area around Maro beach where the waterfall is located, is a marine reserve where fishing is banned, making it one of the best places in Spain to go snorkeling. 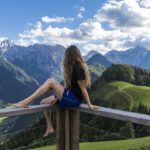 Another option for a day of adventuring is to walk the Rio Chillar, a shallow river where you can walk between steep gorges while stopping to swim in natural crystal clear pools. One of the most popular attractions in all of the Costa Del Sol (if not all of Spain) is the Nerja Caves. 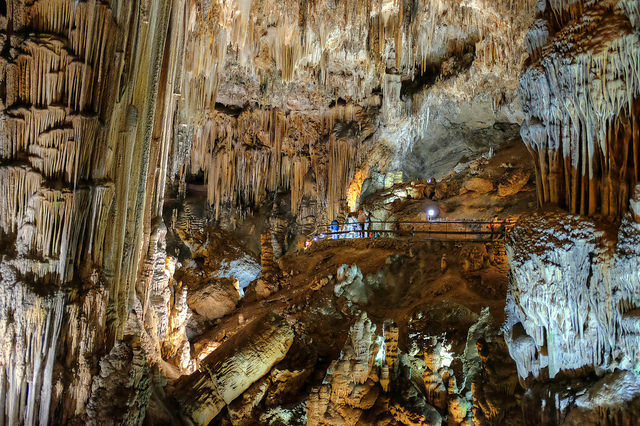 This massive cave system features a number of immense caverns and is also the place where you can find the world’s largest stalagmite with a height of 32 metres! An audio-guide is a number of languages is provided upon entry, enabling you to walk around the caves at your own pace whilst learning interesting details about this natural wonder. Admission to the caves is €10 for adults and €6 for children. This day out is a good option to ‘keep under your belt’ ready just in case there’s a day of inclement weather. Such a sheltered and interesting environment can be enjoyed by young and older children even on a rare rainy day. If you prefer a more lively family hotspot then its worth considering going to the west of Malaga. Further down the coast there is a great variety of attractions for families with children of all ages. Almost halfway between Malaga and Gibraltar is the famous town of Marbella. Although renowned for its luxury yachts and being the place to spot celebrities, the area offers the perfect holidays for families too. Getting from Malaga airport to Marbella will take around 40 minutes unless you opt for the newer toll road. The benefits of this newer road is that you’ll get chance to observe some spectacular views of the countryside and you won’t find much traffic en route either. Before visiting all the attractions where the kids can burn off energy why not enjoy lunch together at one of the historic villages. Marbella offers a diverse mixture of bustling modern atmosphere with shopping galore or you can choose to discover some of its quaint picturesque Spanish villages. Within just 10 minutes drive of the busy port you be transported to what appears to be back to bygone days to a little village called Ojen. The whitewashed buildings all gather humbly on the side of a mountain and silently entice passers by for a photo opportunity. There’s so much more to Marbella than being a ‘playground for the rich’. Waiting to be explored is the historic village of Mond which was once protected by an endearing castle and in part can still be enjoyed today. Recently, most of the castle was renovated into a splendid hotel and restaurant, where a good range of international foods with a Mediterranean theme are served. Although its fine dining it is more of an informal setting and can suit most budgets. Fuente Lavadero de la Jaula, is the pretty town’s fountain and public laundry area. It’s not hard to imagine the many townsfolk meeting here after a day’s hard work to discuss the current news topic. This popular community spot was a buzzing social hub way back in the 16th century. 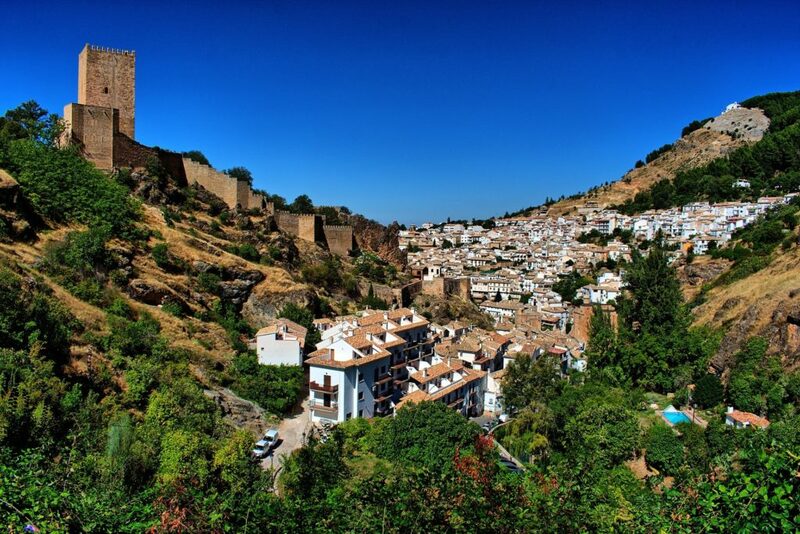 Each mountainside village that you traverse, offers its own angle on Andalusian flavour and delightful homemade cuisine. No holiday in Spain with children is complete without a visit to one of the Costa del Sols many water parks. One of our favourites is Aqualand in Torremolinos where you can test your nerves on the 22-meter-high Kamikaze water slide or enjoy the frantic pace of the crazy races. The park even has a kidzworld area where you can let young children play all day while knowing that they are being looked after by the parks specially trained staff. Entry fees are not cheap at €30 per adult and children’s prices range from €11 to €21 depending on their age but all the family are sure to enjoy a memorable day out. Tip – Book online in advance and take advantage of reduced admission fees. Another pleasurable park is Aqua Velis in Torre del Mar, Málaga. 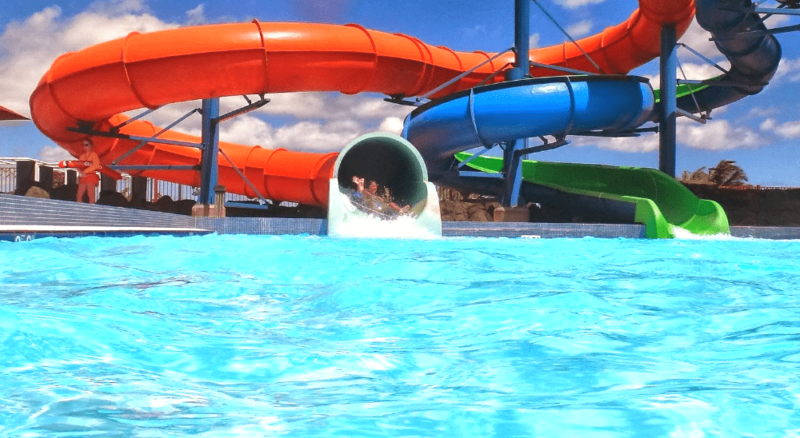 This Axarquia water park offers fun for everyone as it boldly draws visitors with a variety of attractions, such as the Kamikaze ride and its 80 metres slide. Designed to be experienced at maximum speed, this ride is definitely for thrill seekers! The aqua park ticket prices start from 16 euros, which includes an online discount. The park now also has an exciting virtual reality arcade that is open all year round. For fair rides, fun park lovers should head to the Tivoli World theme park in Benalmádena. This is the Costa Del Sol’s largest family theme park where you will find over 40 attractions which include the crazy 60 metre tower drop, go karts, a classic Ferris wheel and old-fashioned bumper cars just to name a few. They even have plenty of live entertainment including a Wild West show that the kids will certainly want to stay for. General admission to the park is €7.95 and children under 1 metre tall go free. A quick tip to mention is that when leaving Malaga airport at the start of your holiday, keep hold of the handy little booklets given out to tourists as these normally include discount offers and vouchers that can be redeemed at the above attractions. We’ve thoroughly enjoyed our holidays on the Costa Del Sol and the attractions recommended here are just a few of the many things families can do together. Why not visit for yourself and discover just why southern Spain is one of the most popular family holiday destinations in Europe.